Watch for wildlife on runway. 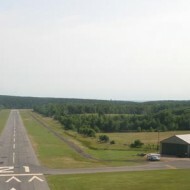 Trees on both ends of runway. No night operations.